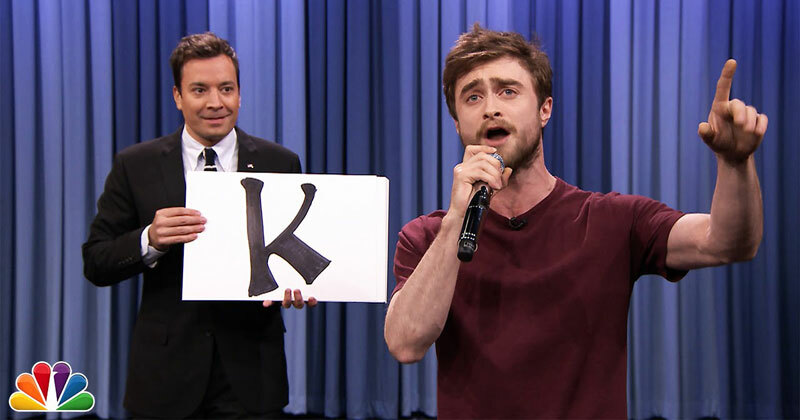 Jimmy challenges hip-hop lover Daniel Radcliffe to rap Blackalicious’ tongue-twisting “Alphabet Aerobics,” and he nails it. You’re a lyrical wizard Harry! You can hear the original song below (released in 1999) with motion typography added to highlight the tongue-twisting lyrics.